Learning about mechanical watches has always been somewhat of a challenge because the watch industry believes that the less information is available to the consumer, the more reliant the consumer is to the dealer for information. For years, the only real information on watches and brands were consumer point-of-sale materials, a few books that were many times dated as the traditional publishing cycle did not keep abreast of watch developments, and word of mouth which most of the time was just the spreading of urban myths. Unfortunately, watch companies are slow to educate the consumer and still rely upon watch retailers to indoctrinate consumers to particular brands. Fortunately, there is the Internet that even though watch companies might have a minimal education presence, there are now plenty of venues to learn about watches. For pricing, do a skim of eBay or Amazon for the watch that speaks to you. Although eBay inflates prices, both venues will provide a price range for the watch that is in the radar screen. Craig’s List is another area, but stay away from Craig’s List purchases as watches in this price range could easily be fake and it takes a trained, experienced eye to spot them. Dropping your watch into Google or other search engines might bring you to websites and blogs specific to your watch. 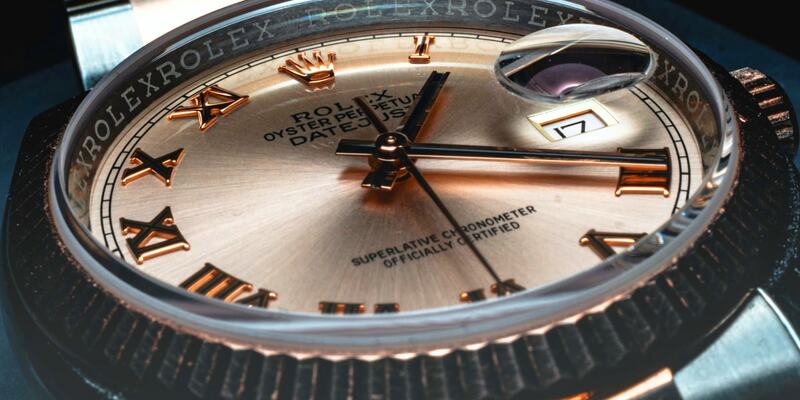 A few watch collectors publish their insight on watch web pages and blogs. Like anything on the Internet, be sure to stay skeptical, but legitimate watch websites will stand out. Because the industry is tight lipped about details, it takes aficionados to post their insight for the watch public to truly learn about watches. There is a small handful of watch forums that are veritable honey pots of experiences and information. Watch enthusiasts write about their watches, their experiences with them, as well as will answer any question that you would not want to ask a dealer or in person. Create a simple account on one of these forums, ask a question, and plenty of answers will come your way from people around the globe. There is an entire virtual watch community using the Internet, although one would not recognize any of them when walking down the street. Occasionally, there is a watch dealer who truly has a passion and knowledge for watches. Just as how consumers turn to the Internet for information, insight and knowledgeable savvy watch dealers have as well. Although many watch sales people will not admit to monitoring the Internet for information, plenty of them do because the watch industry does a lousy job of training sales people. Picking a watch retailer is like picking a suit; if it wears well then get it. For watch dealers, the same is true. Watch dealers have to “wear” well because this will be the same retailer that will service your watch, as well as if you grow tired of it, will swap your watch for a different model. A good watch dealer will care about you and your watch and will point you in the right place the first time. There are plenty of periodicals and iPad apps to get you familiar with watch models, brands, and the technical-isms behind them. Finding watch magazines is getting trickier as more publications are moving to the Internet, the iPad and Kindle. Nevertheless, there are plenty of publications that get into the details of watch brands and the people behind them. Beware of publications that are simple re-publications of press releases; these are easy to spot as the covers will look similar to other watch publications. Despite these magazines, there are many European publications that are available via the Internet or in tablet apps that go much more in-depth than the press release sent to watch publications. Depending upon the brand, watch companies do have in-depth periodicals and iOS apps that help indoctrinate potential watch owners into the brand. Part of purchasing a fine Swiss watch is buying into the marketing machine behind the brand. Many companies publish a quarterly magazines mailed to owners, and watch catalogs that are the size of small dictionaries. More and more watch companies are publishing iOS apps for the iPhone and iPad to read electronic versions of their brochures. Admittedly, the iOS apps are better catalogs than the analog paper versions as the information is current, they contain videos, and their news is updated more frequently. Unlike the years before the Internet, there is plenty of information to arm oneself prior to purchasing a fine Swiss watch. Just surf the Internet, look on the forums, and email / converse with trusted sellers and retailers and there is a whole new world to learn and explore.